We therefore kindly request that credit card details are provided to secure all appointments. Clients who wish to change or cancel appointments are asked to provide 24 hours notice. Please understand that if this is not possible the full cost of the treatment will be charged. First time guests are warmly welcomed and advised to arrive 15 minutes prior to their booking time. All timing of the treatments quoted are approximate and vary from customer to customer., they Also include pre and post treatment organisation. We make every attempt to ensure that you are satisfied with your experience at Cobella Salon and Spa. In the event that you are not completely satisfied, please do take the time to write to us within 48 hours of your appointment and we will endeavour to resolve the issue. 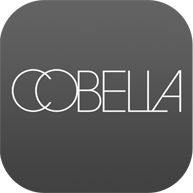 At Cobella, all services are non-refundable, but if you contact us within 48 hours of your original service, we are more than happy to provide a corrective service for you within 10 days of original appointment. In the event of a disagreement, a redo must be validated by management. If you are thinking of lightening your hair more than 3 shades than your natural colour, please bare in mind that using box colour or going from dark tones to lighter tones may require 2 appointments to achieve your desired result. For clients looking to go from dark to blonde, we have a transparency policy whereby we will provide you with the difficulties, possibilities and potential outcomes that you may incur. Normally, it is a 2 step appointment across a period of time. Your hair will go through a warm stage in order to achieve a cool shade of blonde. This is all down to the science of hair and we can explain more in salon. We respect your hair, its integrity and we understand the limits in place when working with all different colours and textures. As professionals, you can trust we are honest, realistic and we know how best to achieve your desired results! For Electrical Products bought in salon, you will receive a 15 minute tutorial on how to use this product to fully equip you with the tools to use your new professional product! Any items you wish to return must be within 14 days of purchase and requires the original receipt as proof of payment. Gift certificates are valid for Hair & Beauty services only, not for retail products.